Well our first club meeting of 2018 exceeded all expectations. We had a record breaking nine guests join us last night, so our little room at the Noke Hotel was packed full. This is the most guests ever to come on one night, since the club formed 20 odd years ago. 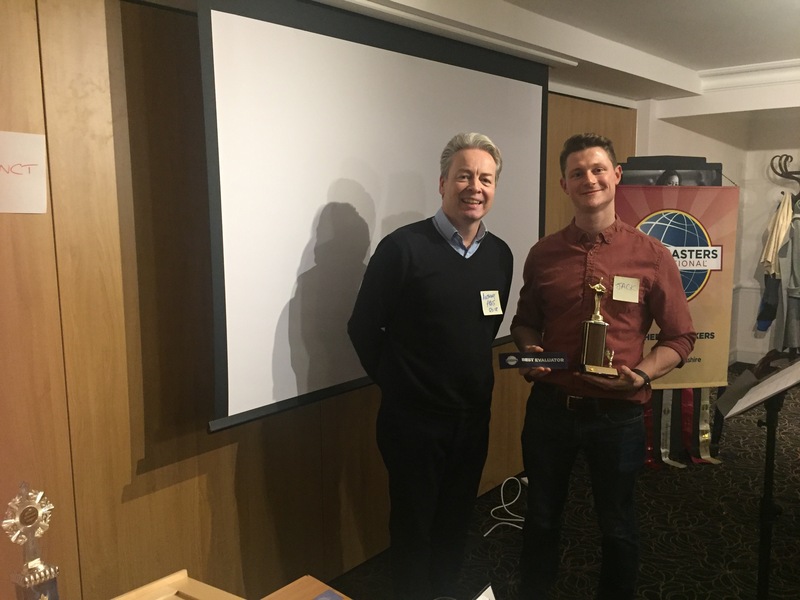 Our toastmaster for the evening Richard started the ball rolling by getting all members to stand up and share their public speaking goals for 2018 – which he clearly intends holding us all to! Our impromptu speaking section, ‘table topics’ took a break from the norm owing to our Table Topics Master Aparna having a sore throat, so to save her vocal chords, she showed photos highlighting key events of 2017 and asked speakers to give each a caption and talk about the photo. Trump’s inauguration, Ariana Grande’s Manchester concert and the #metoo campaign were among the images presented for discussion. 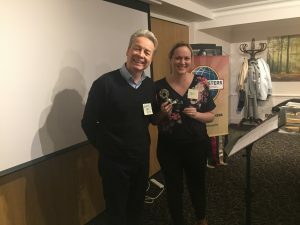 Well done to Jenny, who won best table topics speaker of the evening. We also had an excellent speech from Zsusannah, her 8th from the Competent Communicator manual. She made a great case for why we should appreciate our electricity providers more. Anyone for a Smart Meter? Zsuzsannah is the woman to talk to. Despite there only be two speakers, our club president Anthony decreed we would still vote for Best Speaker and Thorn, sorry Thwang, I mean Thuan won it. 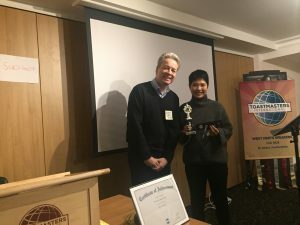 Well done Thuan – very well deserved. Our 3 evaluators: Anthony, Jenny and Jack provided superb evaluations, giving speakers some really valuable feedback. It was Jack’s evaluation of Zsuzsannah, however, that won him the title of Best Evaluator of the evening. The whole evening was generally evaluated by our longest serving member Colin and he had plenty of useful insights to offer. Our Grammarian Paul’s word of the day ‘succinct’ was a good one, but not used quite as much as he’d have liked. While Sebastian and Jill fulfilled their respective roles of timekeeper and ah-counter faultlessly. All in all, a great night. We know at least one guest, Sarah, has confirmed she will be joining our club and we hope to see the others at our next meeting on the 25th January.